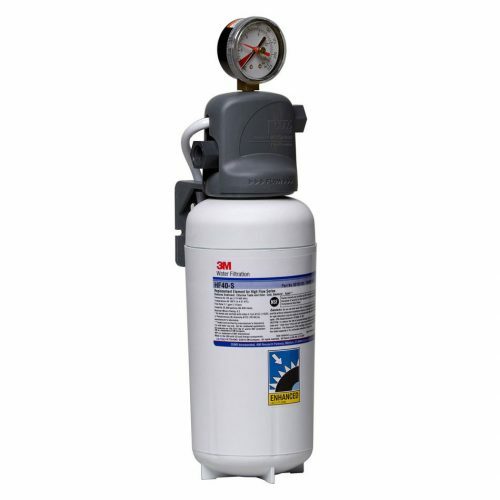 3M™ Water Filtration Products, High Flow Series model BEV140 single cartridge water filtration system helps to improve the taste, appearance and consistency of your beverages at flow rates up to 2.1 gpm (7.9 lpm). 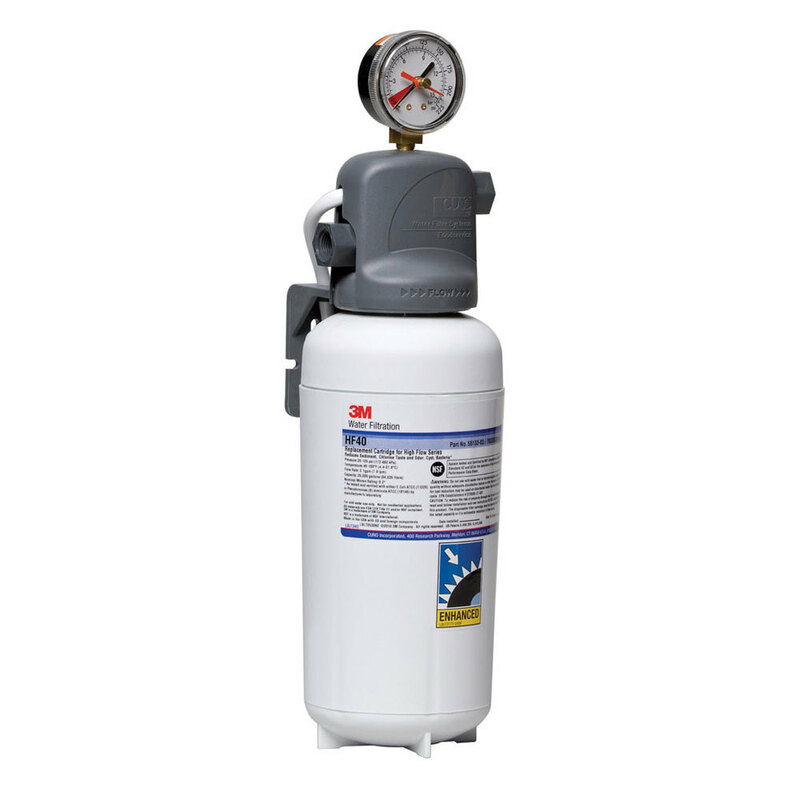 BEV140 combines cyst and bacteria reduction with particulate and chlorine taste and odor reduction for up to 25,000 gallons (94,635 liters). Revolutionary Integrated Membrane Pre-Activated Carbon Technology (“I.M.P.A.C.T”) dual-zone media cartridge construction combines a membrane in series with premium activated carbon to provide superior throughput and cartridge life. Built-in bacteria inhibitor intended to reduce fouling of media. (HF40 replacement cartridge). Certified by NSF to Standard 53 for cyst reduction (HF40 replacement cartridge). 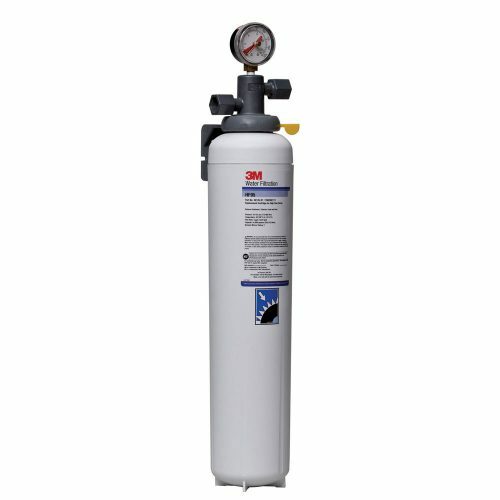 NSF Certified 3M Purification Inc. (High Flow Series). 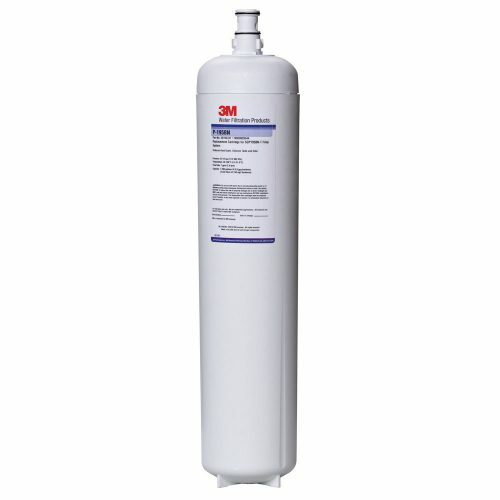 Reduction of up to 99.99% of common water-borne bacteria by membrane filtration as tested by 3M Purification Inc. (HF40 replacement cartridge). Reduction of particulate helps prevent equipment wear and helps extend the life of pumps, valves, o-rings and seals. 3/8″ FNPT horizontal inlet and outlet ports allow direct or easily adaptable connections to existing plumbing lines. System maximum operating pressure of 125 psi (862 kPa) and operating temperature of 100 °F (37.8 °C). Recommended service flow rate is up to 2.1 gpm (7.9 lpm). Filter cartridges incorporate a bacteriostatic carbon block filtration medium (HF40 replacement cartridge).